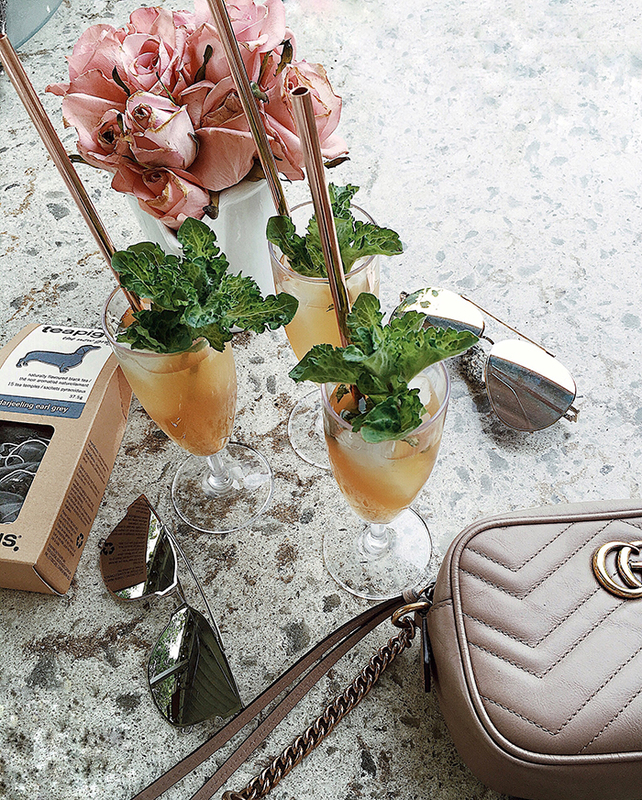 I'm so excited to be partnering with teapigs to bring you this super refreshing Darjeeling Earl Grey mint iced tea recipe to help celebrate National Iced Tea Day happening this Saturday! Weekends are always super busy around the Garcia house so I wanted to keep this recipe simple and classic with a slight twist so you can whip these up in no time with ingredients you'll likely find at home! Heat water until boiling, add in tea temples and mint, let steep for 20 minutes up to one hour. Once the tea is finished steeping, strain into a large pitcher, add lemon juice and store in the fridge. If you are wanting to make a large jug of the cocktails, I would add in your sweetener as well, however, I prefer to make individual drinks as the night goes along so I would add coconut sugar, fresh mint sprigs and ice to a glass and fill with the steeped tea mixture - I prefer this way because I love the texture of the coconut sugar in the cocktail! Top with your favorite dark rum and a mint sprig garnish and voila! The perfect teapigs. iced tea cocktail to celebrate National Iced Tea Day!